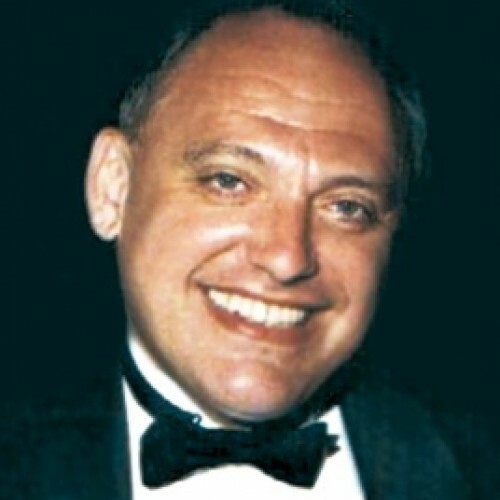 Igor L. Benenson, DO, MD, PhD began his career in ophthalmology after graduation from Moscow Institute of Medicine in Dentistry (Russia) in 1978. He was accepted for Residency training to one of the oldest and famous Ophthalmological Clinic in Moscow, Russia, which gave start to many highly qualified eye specialists. After that Igor Benenson was hired to Moscow Institute of Eye Microsurgery, founded and then headed by the world renowned ophthalmologist, Svyatoslav Fedorov. For almost 15 years of working closely with Professor Fedorov, Igor Benenson achieved convincing success as an eye surgeon and very thoughtful scientist and researcher, and became highly respected among his colleagues. Doctor Benenson co-authored almost 100 sceintific publications, was granted nine patents, including those in United States, Great Britain and Germany. In 1985 a special envoy from the World Intellectual Property Organization (WIPO) at the United Nations (UN) awarded Dr. Benenson a Diploma for “Development of New techniques in Eye Surgery”. In 1986 Dr. Benenson defended his Thesis and became a Doctor of Philosophy (Ph.D.) His works laid a foundation for further development of artificial lenses not only in Russia, but also in some countries of Europe and North America. While working with Professor Fedorov, Dr. Benenson visited different ophthalmological clinics in Russia and Europe, where he gave scientific talks and trained other physicians by demonstrating surgical skills and new techniques in operating rooms. In 1993 Igor Benenson was invited to participate in research at the Department of Ophthalmology and Visual Sciences at Washington University School of Medicine in Saint Louis, MO, where he continued to sharpen his professional knowledge for 3 years. In 1996 Igor Benenson entered the New York College of Osteopathic Medicine, which he graduated from in 2000. Pursuing his dream of practicing his specialty in the USA, he graduated from the PCOM Residency in Ophthalmology in Philadelphia, PA in 2004. The same year he established his own practice. Since then he has been dedicating his knowledge and practical skills serving those who need his professional achievements, especially dense Russian-speaking population in the Northeast Philadelphia. Among his patients besides Americans are also immigrants from multiple countries. Doctor Benenson is Board Certified in Ophthalmology. He is a Fellow of American Osteopathic College of Ophthalmology (AOCOO), active member of American Academy of Ophthalmology (AAO), American Society of Cataract and Refractive Surgeons (ASCRS), American Osteopathic Association (AOA), Pennsylvania Academy of Ophthalmology (PAO) and other professional organizations. He regularly attends major ophthalmological Congresses and Symposia, where he shares his professional experience and knowledge with thousands of his colleagues in the USA and abroad. His name appeared among Top American Ophthalmologists in 2007, and he was included in the Registry “Doctors of Excellence” in 2014. In 2017 he was awarded "Top Ophthalmologist in Philadelphia" by "Patients Reviews Certified"
From the very beginning Doctor Benenson ‘s main working principles are professionalism, dedication, mutual respect and trust in his communications with patients, staff members, and colleagues. Adherence to these principles most certainly ensures many positive reviews by patients, their family members and colleagues.